Let’s start with a range of Lego products, which, despite not being the most representative of sets, are especially targeted to the little ones. Indeed so! 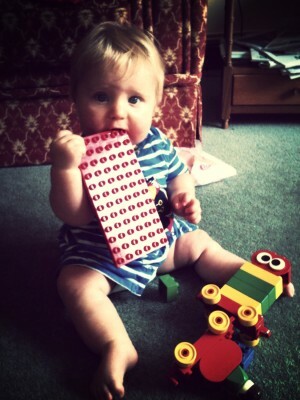 But from what age can a child start playing with Lego bricks? For very young children, Lego pieces can even be dangerous, as they are easy to swallow. Some of them are even taken for candies because of their beautiful colours. So you shouldn’t let a child under 3 (or under 4-5, for extra safety) play with such things. But those from the Lego brand couldn’t just ignore such an important niche. Thus, they created Lego Duplo. The bricks from Lego Duplo sets are double (did you get it?) on every side, as opposed to the ordinary ones. Which means they are 8 times bigger. They are easier to grasp and cannot be swallowed. They are recommended for children over a year and a half. The downside would be the considerably higher price. These sets have few pieces and you come to wonder if you don’t have anything better to spend your money on. But, true enough, a small child doesn’t need a set with many pieces. The diversity of Lego Duplo sets is very large. No matter the preference of the child, you’re sure to find something eventually. You could even be tempted to buy more sets than you initially wanted to. On the other hand, you would be inclined to say that these sets are not like original Lego – as it came to be known – and to think it would be better to wait until the child is a little older. Or, you could buy a cheaper equivalent from another manufacturer. It’s good to know that Lego Duplo bricks are compatible with those from the other sets (for older children) so you have no reason to wait. Your child would be able to combine them with the sets that are to come over the years. Buy a Lego Duplo set at the age of 2 or more. But if you don’t have money to throw about, you shouldn’t invest much in such things. 1 or 2 sets should be enough until the age of 4 or 5. And they would be useful later (especially if there are not many figures included in the sets, which are very cute, but not so versatile in long term). Let’s go to the next level. When the child is 4 or even a little older, but, still in pre-school, the most appropriate sets are those from the Lego Juniors collection. These have a clear goal especially for this particular age. They contain a lot of “special” pieces that are a bit bigger so as not to increase the difficulty too much. They include components for vehicles, doors, slides, etc. Still, they can all be used later, along with the sets for older children. You don’t have many options to choose from when you’re looking for a Lego Juniors set. It’s easy for those who are beginner-level buyers. For children between 4 and 7, these Lego Juniors sets are really nice. They are relatively easy to do and they can still be used long-term. So, I recommend you buy a set, but pay attention to the theme: some are more appropriate for boys, others – for girls. If the beginner is older (no matter how much) than 4-5 years, a Lego Classic set is the most appropriate. Their name shows that these sets are the true descendants of the original ones from 1958. They are for those who want the “real Lego”. These sets contain many versatile pieces. They don’t have a clear goal. You can make whatever you want out of them. And that’s the very reason for them being so awesome: they are the best at stirring up creativity. It would be advisable that a child who got such a set should not receive another one for a long period of time, which means not until he has explored all the possibilities this set offers. 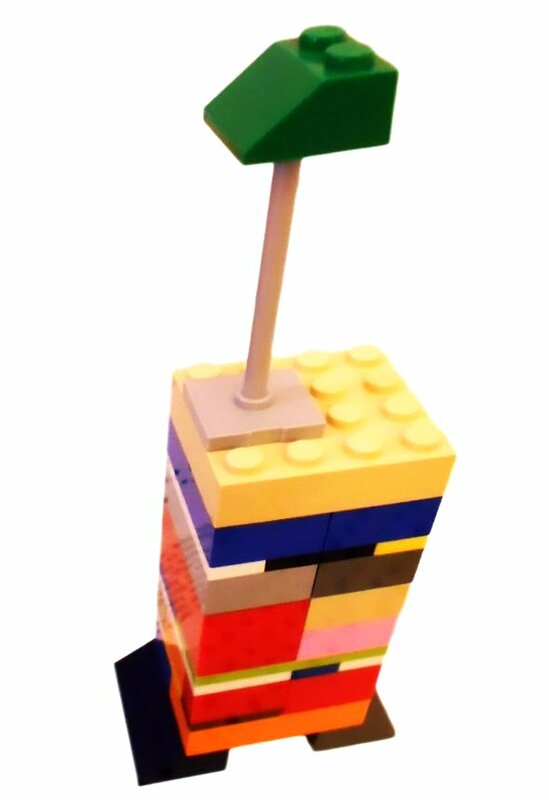 After they learn some simple joining techniques, children will amaze you with the things they can make out of Lego. Any Lego Classic set will be a good start. A set from a different collection will only bring the child something new to think about, but the basics will have already been established. You also get a brick separator (which gets you out of trouble when you least expect it). It can be bought separately, but it’s harder to find and more expensive. Buy the biggest Lego Classic set you can afford! Don’t fool yourself, thinking you will buy a Lego Classic set on another occasion – with so many Lego sets to choose from, you’ll always be tempted to pick something else. It’s not easy to build. But, when the construction is done, you’ll also need a story to make it worthy. Stories need heroes. Thus, the Lego figures are as important as the bricks themselves. From this point of view, the Lego Minifigures collection looks interesting enough. Especially when you already have Lego Classic at home. First of all, you need to grasp the idea. If you prefer to shop online, the pictures might get you confused. Lego Minifigures are organized in collections with several characters (usually 16 of them). Every character is wrapped individually in such a way that you couldn’t figure out which one is inside. But you get only one character, not the whole collection! And you can’t choose it, it’s a surprise. These Minifigures are rather for the collectors. You can get the same character twice, but this is not a problem for the Lego aficionados, because they make exchanges with them. The cost is not high, but if you consider what you can get for it, it’s pretty expensive. A collection of 16 minifigures costs as much a 1000-piece Lego set! If you’re a fan of surprises, Lego Minifigures are an interesting choice. But just take into consideration that surprises are not always pleasant. Some of the characters are not suitable for a little child – and this is not under your control. No matter the manufacturer’s indications, I would say that they are rather for the 7-8 year-olds. Anyway, it’s not such a good idea to buy something like that just because you lack characters. You should rather buy a thematic set. If you haven’t found out yet, Mixels are some whacky little monsters that can be inter-combined into many amazing possibilities. They’re featured in the homonymous animated series on Cartoon Network. 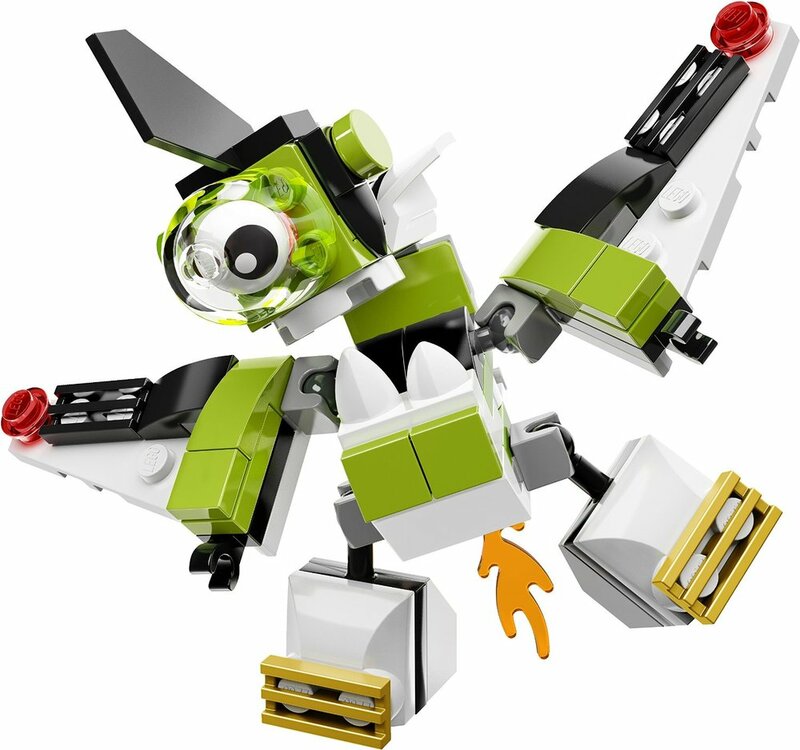 Lego Mixels are the transposition of those little monsters into buildable figures. The idea is unexpectedly good. These little monsters are interesting to build, they have mobile parts, and are great fun. A set contains one little monster, composed of 50-60 pieces, at a cheap price. If you have several of these little monsters, you can switch different parts between them and get new ones. You can also use other Lego pieces, they are compatible. Every once in a while, you can buy a set of Lego Mixels without digging too deep into your pocket. Some special parts, like joint pieces, offer new perspectives to the creativity. Even if the concept is rather boys-oriented, there’s a high chance that girls will like it too – especially girls with a sense of humour. Out of Lego parts you can build all sorts of buildings, vehicles, etc. You don’t need much to bring your own miniature city to life. 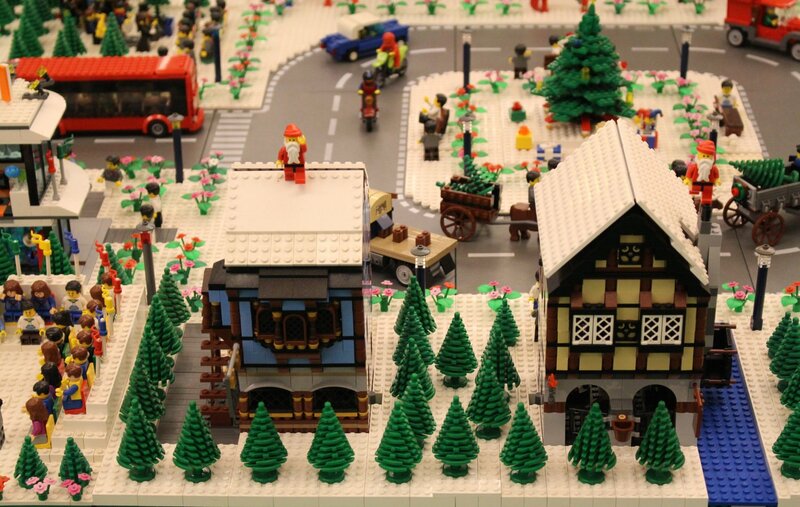 Lego City was invented especially for such day-dreamers. You can build your dream-model by combining the sets from this collection. Including the streets. And even an electric train. But I have to spill the beans: it’s a trap! If you start buying these things, you’ll never be able to stop (“Of course I will!”), you’ll get yourself in trouble. They are great! It’s just that this small city will occupy your entire room and empty your account. Plus it will take up all of your time. Oh, I forgot to tell you: it says they’re suitable for children no older than 12. But let’s leave out those details. Many Lego City sets (not all of them!) can be used independently. But the great beauty of this concept are the ensembles. If you have a deep wallet (or if you have a daddy with a deep wallet), you can make a beautiful hobby out of it. Plus that is your chance to become “Mr. Mayor”. 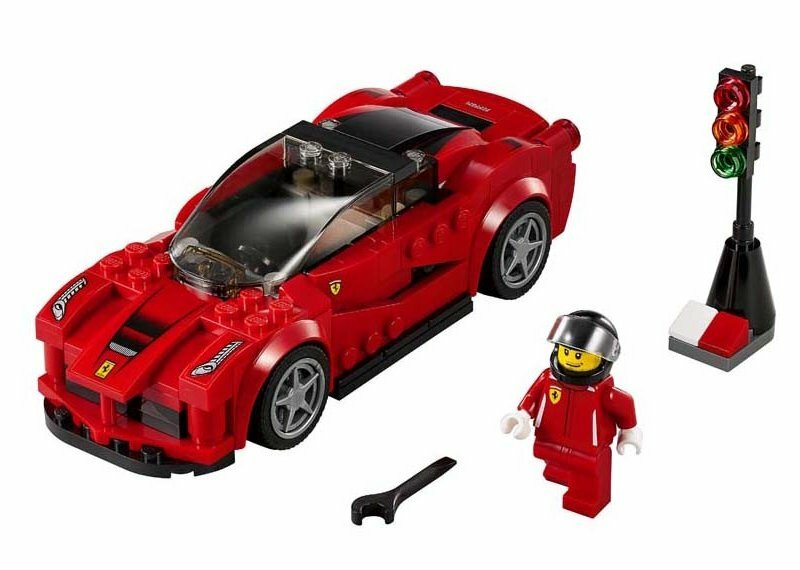 Many Lego sets have all that you need to build cars. In fact, Lego is the leading tire manufacturer! For those who really like cars – especially race cars – the Lego Speed Champions collection was invented. Most of these sets include the components needed for a replica of a famous race car and its driver, at affordable prices. But there are also more complex sets, a dream for every speed-lover. Lego has licenses for many franchises. The first and most successful one – no doubt – is Star Wars. The collaboration started in 1999, and by 2013 Lego had already sold 200 million sets 1)”Why Lego Star Wars grows more popular every holiday” by Tom Webb, article published in Daily Times on the 6th of November 2013. It’s always great fun with Star Wars. Lego designed sets have a source of inspiration from every Star Wars movie. There are already hundreds of different sets. If you are a Star Wars fan, you’ll have to face some difficult choices. The downside of these sets, in which the building part is very strict, is that they don’t stir creativity. At all. And I’m not the one to say it, it’s the result of a study conducted in 2015 2)”Are Lego Star Wars kits stifling your child’s creativity? Using instructions to build toys harms youngsters’ problem solving skills” by Richard Gray, article published in Daily Mail on the 14th of August 2015. If there’s any comfort to you, the study is about creativity, not about developing intelligence. The assembly of a complex model does get your “wheels” spinning. Lego Star Wars sets are mainly children-oriented, but a great deal of those who take pleasure in them are more or less grown-ups. Some of them are collectors – a pretty expensive hobby. Especially if you collect armies with thousands of soldiers, plus different spaceships, robots, etc. These sets were the main inspiration for animated movies and video games, which sold tens of millions of copies. If you have any doubt relating to the madness that is Lego Star wars, let me tell you one more thing: the biggest model ever built out of Lego bricks is an X-wing – more than 5.3 million pieces! If you are not a fan of Star Wars, you can skip these kinds of sets – there are others which are more creative. But if you are, you are sure to like them. You may even end up liking them too much. If you have a child who has contracted the “virus”, you’ll use him as the reason for you buying set after set. But don’t let she-who-must-not-be-named see how your eyes shine at the sight of them! 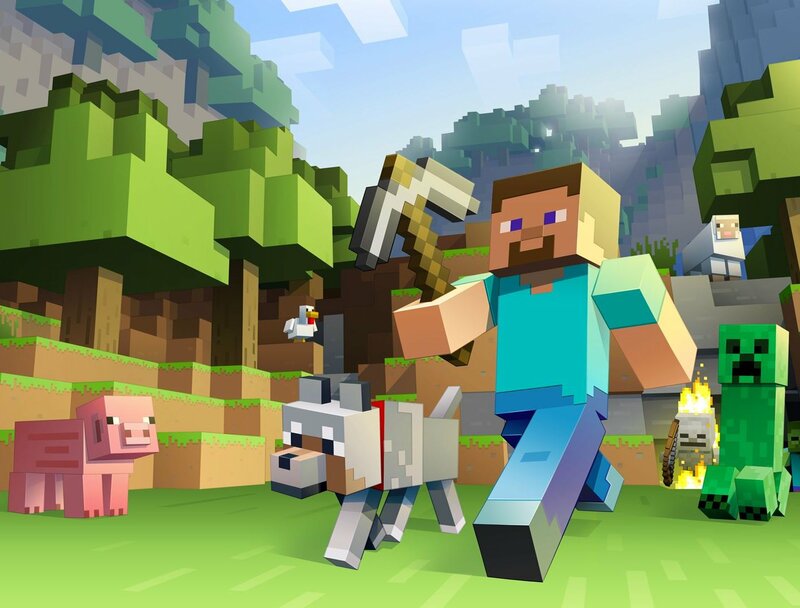 Minecraft is one of the most successful video games of all time, with tens of millions of buyers. If you have ever played the game, you know that the boxy form reminded you of Lego bricks. Some even say that it’s a “virtual Lego”. The likeness of these two successful concepts could not be ignored. Thus, in 2012, Lego Minecraft was created. Practically, with these Lego sets, you can bring Minecraft from the virtual world into the real one. They are still great even if you are not familiar with the original game. It’s just that they are sort of expensive. Interesting to know is that these sets, although they seem designed for children, don’t have an age limit. If you have a kid who’s mad about Minecraft, these Lego sets are your salvation. They might give him a good reason to put aside the computer and use his hands for something other than clicking all day long. You can even play together. Lego even has something for those who are into martial arts taking place in a fantasy-like atmosphere! Lego Ninjago is a concept that goes beyond brick assembling. It is created for the boys who want to bring more action into the Lego universe. The confrontations between Spinjitzu (the name of the characters inside the spinning tops) and Airjitzu (the name of the characters inside the flying vortexes) are quite original. The rest of the sets are more for the background story. The story goes on in an animated TV series, video games, comic books, adventure books, etc. For the boys who are not much into constructing, but more into action, Lego Ninjago is the best choice. It will be fun, but don’t expect too much creativity. In fact, Lego sets are most successful when it comes to boys. They are more “builder material”. In 2011, boys were representing 90% of customers 3)”Girls’ Legos Are A Hit, But Why Do Girls Need Special Legos?” by Neda Ulaby, article published by NPR on the 29th of June 2013. After a thorough study of four years, Lego launched a campaign destined to attract girls as well. That’s how the Lego Friends collection was created. And it was a brilliant success. After only one year, the number of girls who played with Lego tripled 4)”How Lego earned the wrath of the ‘gender-neutral toys’ crowd” by Charlotte Allen, article published in Los Angeles Times on the 28th of February 2014. Girls like stories more than constructing itself, thus, every Lego Friends set has a scenario for a start. Besides this, Lego has produced many animation movies related to this theme, which are implicitly a source of inspiration for the playing. Naturally, stories need characters. Those from Lego Friends are usually girls. As opposed to classic Lego minifigures, those from Lego Friends set are much more realistic: some very tiny dolls, which are pretty and beautifully coloured. The downside would be their low mobility. The sets include other elements to girls’ liking: little animals, tiny flowers, miniatures of self-care products, etc. As was the case for Barbie dolls, Lego Friends sets had their share of criticism from some groups of people, on the grounds that they encourage the gender-related stereotype, and are less creative. The arguments are complex and each side has its own strong points. After all, it also depends on your personal values. It is no doubt that a girl should like a Lego Friends set more than any other of the brand’s range. It’s also true that these particular sets don’t stir the creativity as much, being somehow limited by their own scenario. But, if they come as a supplement for Lego Classic, the combination could be even more creative, giving way to new possibilities. The children don’t stick to the initial purpose of a toy, but rather look to find new ways of using it – if it’s possible. Disney could not be missed from the Lego universe. Especially for the sake of the little girls. Lego Disney Princess has the same concept as Lego Friends. Surprisingly, it has little success. Maybe because the market brims with toys inspired from “Disney princesses”. Of course, what they have to build are fairy-tale castles, carriages and other thematic wonders. All you have to do is to play the songs from the respective movie and that’s it. For little girls crazy about Disney characters, these sets are a good alternative to Lego Friends. Technically, these two collections can be combined; practically, it would be rather strange. So, you’ll have to choose right from the start between these two and stick to your choice. What would it be: classic or modern? Ever since the beginning, Lego sets’ objective was building little houses. Meanwhile, these constructions became more sophisticated, but still remained just toys. Lego Architecture represents its natural evolution to a superior level, a more mature one. For bigger children, or even for adults who are fascinated by all sorts of iconic buildings (or maybe even more for them), the Lego Architecture collection is a genuine joy. These sets were designed by the artist Adam Reed Tucker. 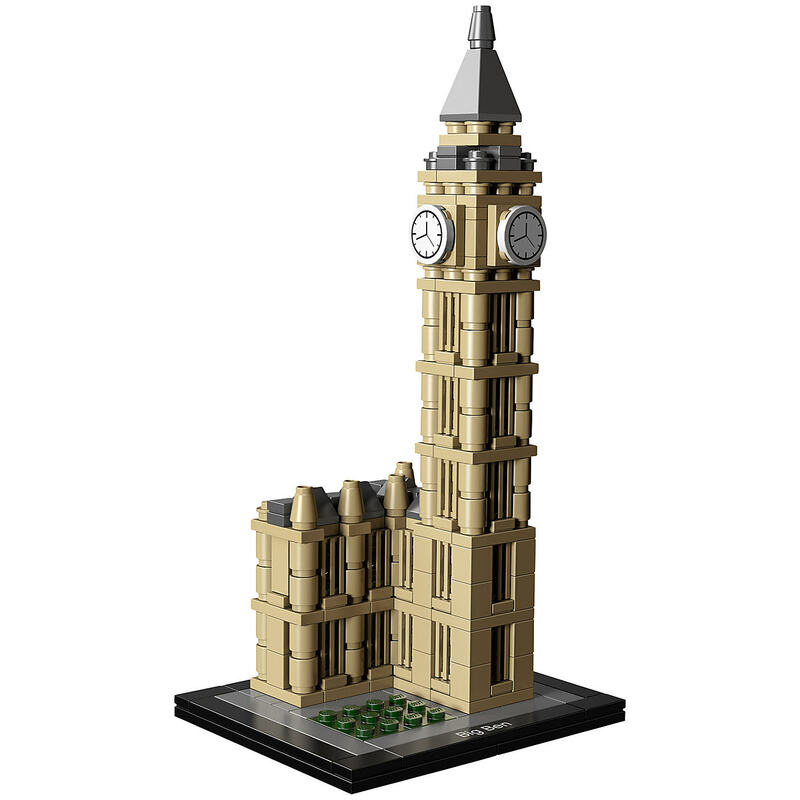 Every set contains the pieces and the instructions needed to complete a certain well-known building. In a way, it’s more like a puzzle. You can use the pieces in combination with those from other sets, but you may not like that. If you are into architecture, these are the sets for you. If you know someone who is into architecture, then this would make a wonderful gift, regardless of age. But think about these sets as stand-alone products, not as yet another set for the Lego brick chest. Lego manufactures different sorts of products. Some of them come and go, while others stand the test of the market. But those I presented above should be enough to find your way through the thicket of Lego variety. I should make one more observation: if a product says “Lego”, it doesn’t necessarily mean that inside that box you will find bricks and pieces that go along with one another. Some sets have a totally different approach. For example, Lego Technic makes you think about mechanics (some sets even have engines included). Lego Bionicle is inspired by Lego Technic, but it’s about building science-fiction robots. Lego Mindstorms brings robotics into the game, with programmable units, robotic arms and all kinds of sensors. Don’t forget that Lego is the largest toy manufacturer in the world! Lego has the reputation for producing relatively expensive toys. The Danish brand holds quality in high esteem, but some of the patents raise the costs. There are some Lego sets whose prices raise in you some existential questions. But Lego has something for everybody. The cheapest sets are no higher than the price of a book – and I bet they will be used much longer. All you have to do is to choose what suits you best from this great range of products. Try to be creative in your choice. And if creativity is no longer familiar to you, you already know the cure: play with Lego! A list of the most amazing records ever set with Lego bricks, many of which are almost impossible to believe. Lucian Velea is a Lego aficionado since childhood. And he is also the father of a little girl who amazes him by what she can make out of Lego bricks.